Recharge your batteries. 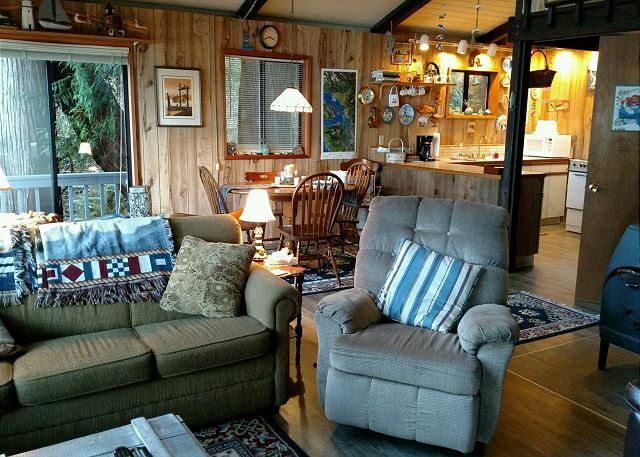 Treat yourself to a romantic weekend or just a secluded getaway on Central Whidbey’s east shore facing Camano Island with views of the Cascade Mountains. 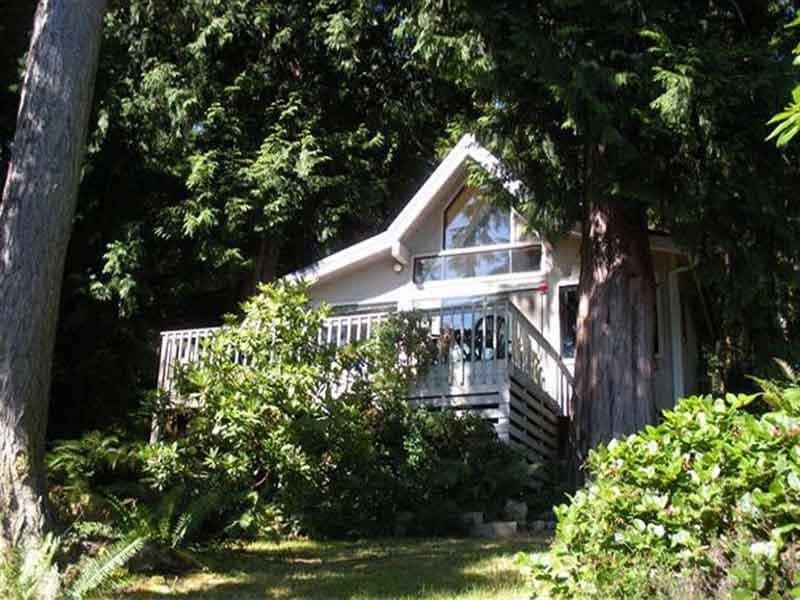 This Cozy cabin with a slight rustic flare is nestled among native ferns and large cedars and overlooks a cove situated at the head of Holmes Harbor. 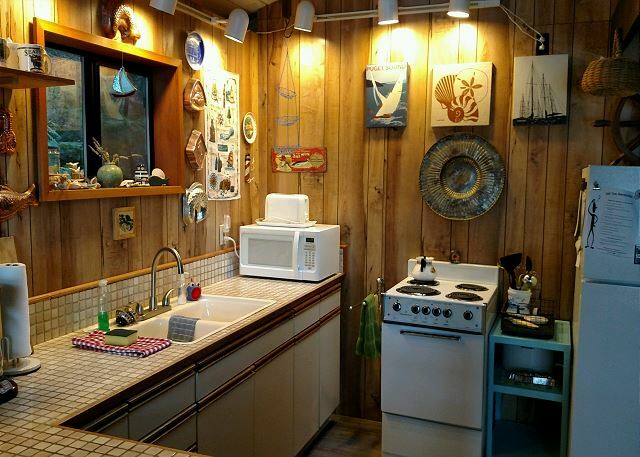 The cabin has 1 bedroom plus a loft room and 1 bath with a stand up shower only. With modern amenities including wifi and a tree house feel, views of Baker and sailboats navigating the sound may trigger your adventurous side to kick in. 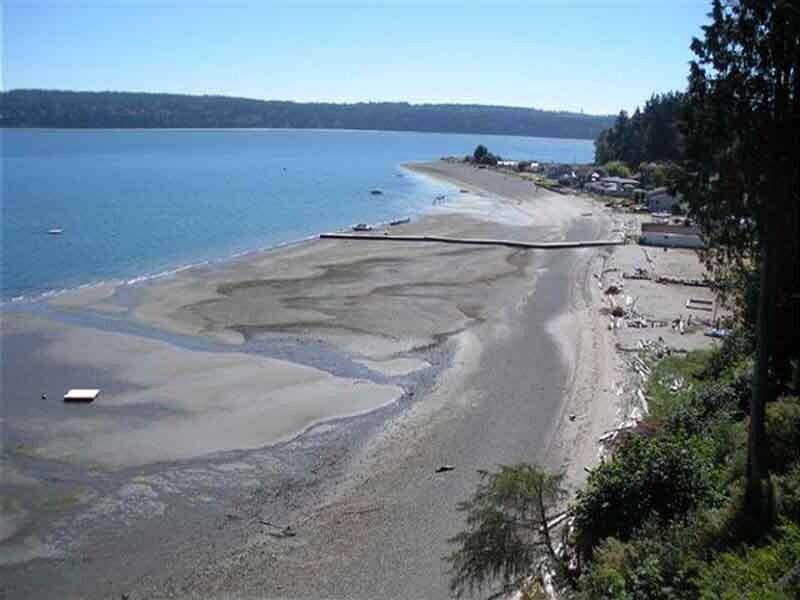 Take a short stroll to the private sandy community beach at the end of the road and explore the shores. 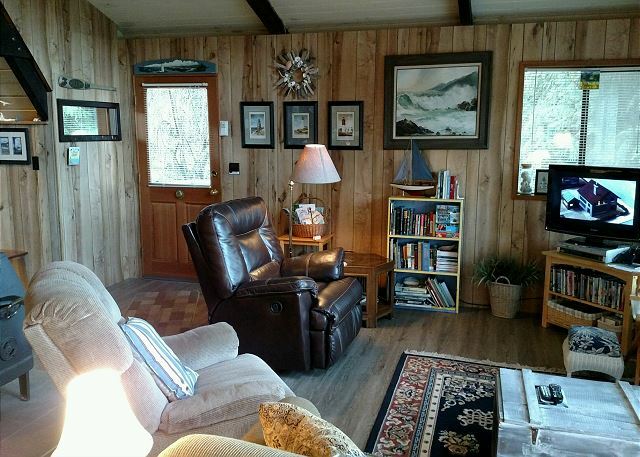 Known for frequent sightings of bald eagles, deer, and whales as well as other abundant Pacific Northwest wildlife, this cabin is just minutes from Greenbank and Freeland. Additionally Meerkerk Gardens offers a 53-acre woodland garden only a five-minute walk from the cabin. 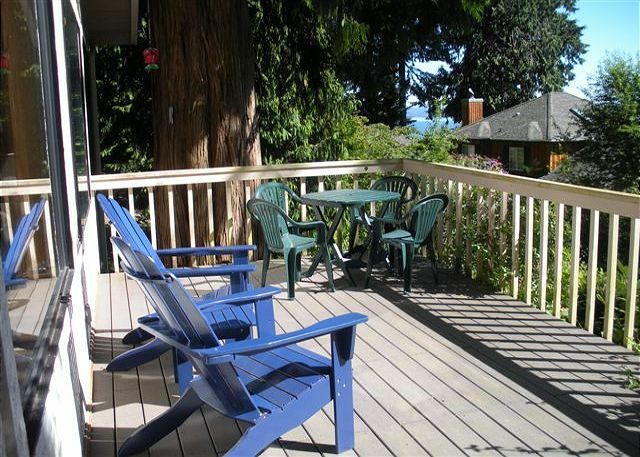 You will undoubtedly enjoy this private vacation home after disembarking the short ferry ride from the busy mainland. 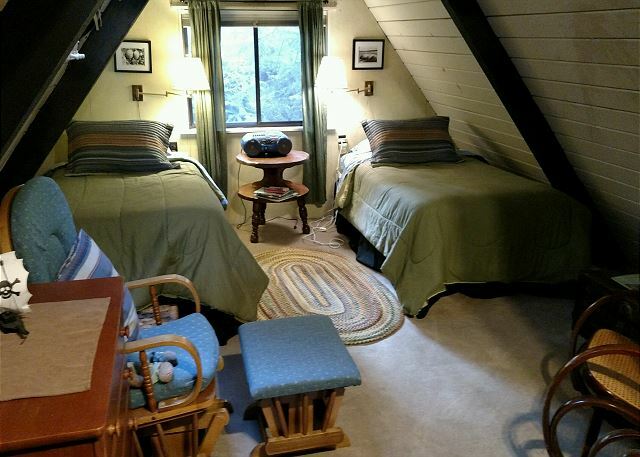 4 night minimum in July/August.